This post is brought to you in partnership with SoCozy, but all opinions are my own. Thank you for supporting the brands I love! Every morning Turner comes in to our room and asks "Today do I have to go to school?" When it's not the weekend I dread answering him because he loses his mind if I say yes. It's getting better, especially after we had a serious conversation about how we should rephrase our question to "Do we get to go to school today?" because so many children in this world don't have the same opportunity. 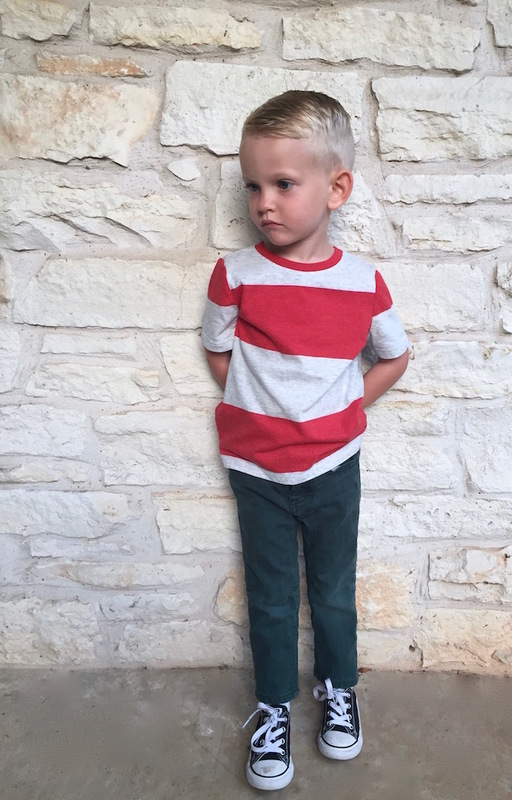 Sometimes we have to do a little bribery and let him watch cartoons or offer to get donuts and kolaches. Once we're through the tough part of the morning, we get ready for the day. Turner recently had his hair cut and for some reason I finally asked for a more hip hairstyle. Oh my goodness, I'm obsessed! Alex takes Turner to school, so he's usually the one that helps Turner get ready for the day. Turner obviously looks up to Alex, and has always admired his hair cream, razor and deodorant. 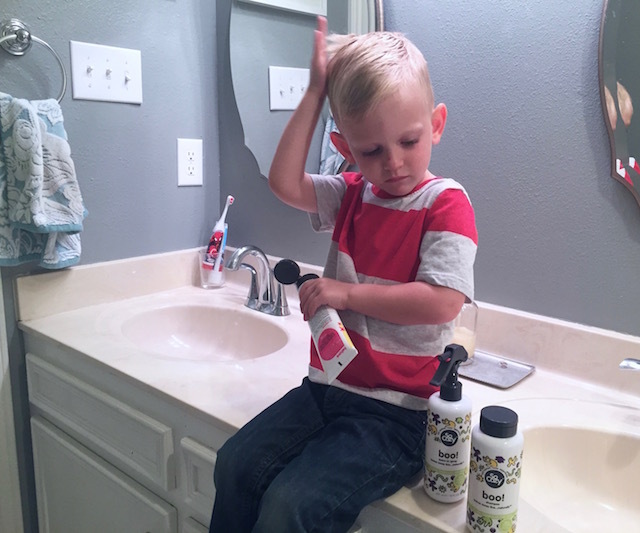 When we received our SoCozy hair products, Turner was extremely excited to be like Dad! He's becoming more independent, and day by day is doing more things on his own. 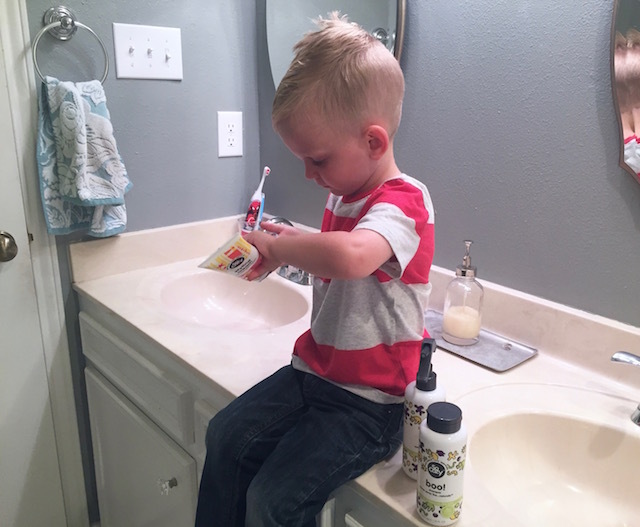 After he got his new haircut and we gave him this styling cream, he enjoys styling his own hair every morning. Now if I can just convince him to brush his teeth willingly. He's growing up so fast, and I love seeing his personality come to life! We also tried out the Boo! shampoo and leave in spray which both smell amazing (peppermint, rosemary and lavender)! They are specifically made to help scare away lice....uh yes please! 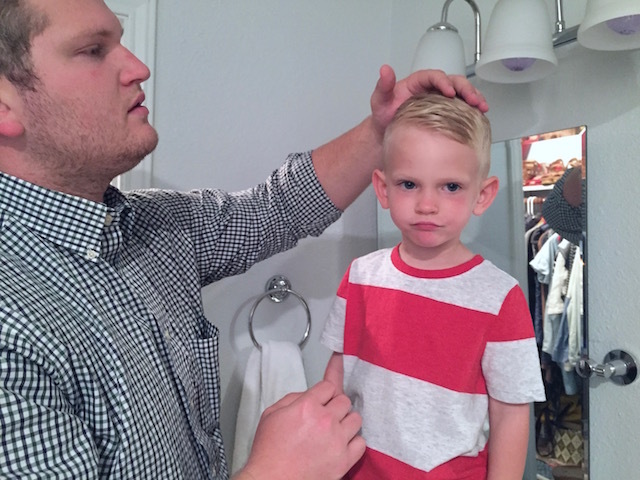 No mom wants their kids to get lice at school. SoCozy products are non-toxic and are made for all hair types. 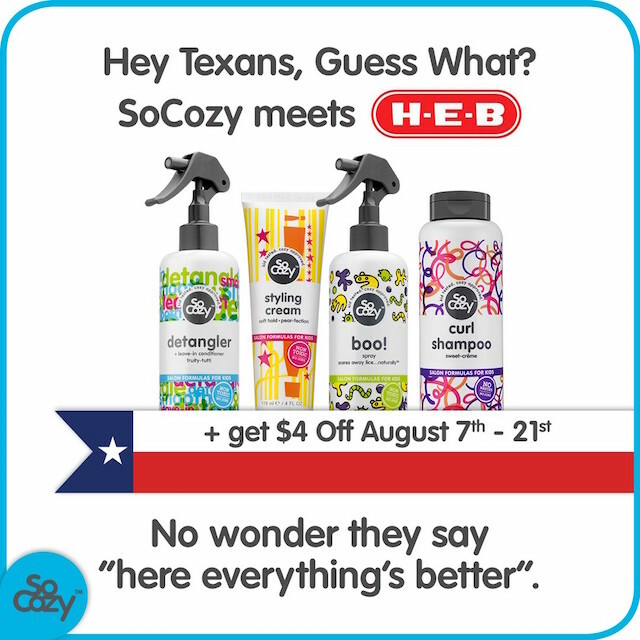 They are currently being sold in HEB and are currently $4 off from August 7-21! 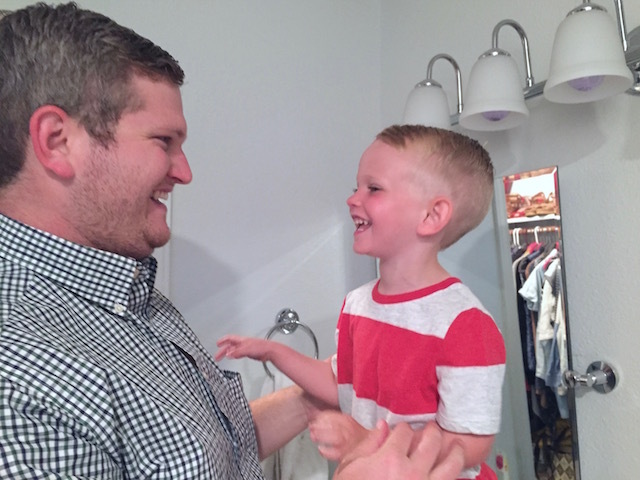 Do your kids struggle getting up and ready in the morning? What are your tips and tricks to getting them ready and out the door?